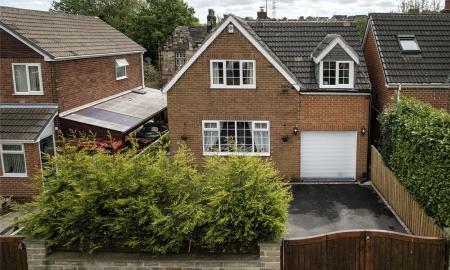 Superb detached property set within a private gated development close to the sought-after town of Mirfield. 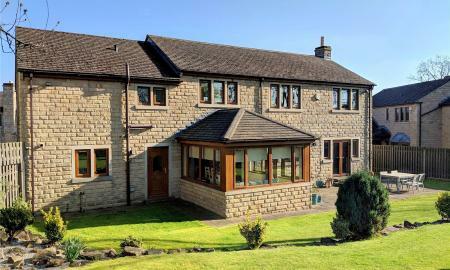 Natural stone built with five bedrooms this executive family home provides spacious and versatile living accommodation arranged over two floors. Internal living space measures over 2300 square feet with ample outside space by way of an enclosed private garden and block paved drive. Very rarely does an opportunity arise to purchase a detached property in this location and as such an early appointment to view is advised. Whitegates are pleased to offer this substantial detached 4/5 bedroom residence in this prime location. 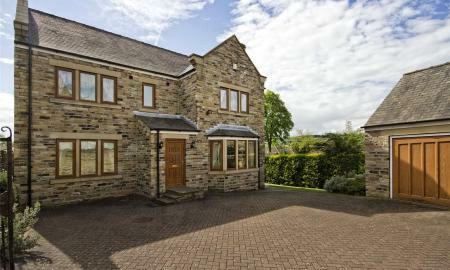 Built from reclaimed stone and slate this is a real quality house which is evident throughout. Positioned at the end of a private cul-de-sac and accessed via electric gates the property has landscaped gardens a good size parking area and double garage with electric doors. Internally the rooms are generous in proportion with additional reception room which could be used as a 5th bedroom. 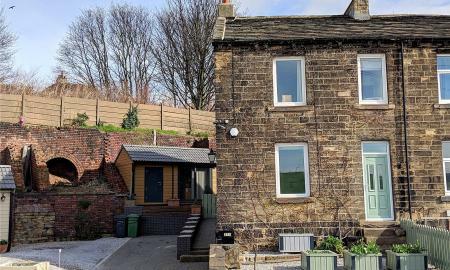 Just 500 yards from Mirfield town centre but with a good degree of privacy this property really must be viewed to be appreciated. Unique modern detached property. Individually designed and positioned in a prime location beside the river Calder in Lower Hopton. Having quality fixtures and fittings including a fully fitted kitchen with island unit, appliances and solid quartz worktops, solid oak internal doors, composite front and bifold side doors. Externally a large parking area, detached garage and enclosed garden. Stand out features internally include a fantastic master bedroom suite with en-suite bathroom and large dressing room, modern open plan dining kitchen opening to the garden via the bifolding doors. A quality, individual, executive property. Viewing is advised. The property is situated within a most convenient and popular location and is being built to an exceptionally high standard with many attractive features including floor to ceiling double glazed windows, electric gated entrance and bifolding doors; under floor heating on the lower ground level, modern efficient heating system. External construction includes Siberian larch cladding, natural and Ashlar stone, and a low maintenance garden to enjoy the southerly aspect. The property also offers magnificent views over the surrounding countryside. Off street parking is provided via a driveway and integral garage. There may be the option to have some input with the builder on finishing products depending on the time a sale is agreed. Call to register interest. Please do not enter the site as construction is ongoing. A public footpath remains open immediately adjacent to the properties linking Stocks Bank road and The Clough. Detached 4 bedroom family house in this quiet spot situated just 5 minute drive from Mirfield town centre and ideally located for the nearby motorway networks. 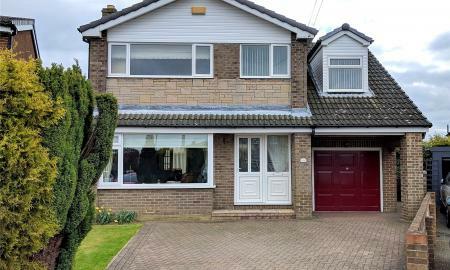 The property would make an ideal home for the growing family, benefiting from double glazing and gas fired central heating and briefly comprising; entrance hall, lounge, dining room, modern kitchen, conservatory, 4 bedrooms (master en-suite) and family bathroom. Outside are pleasant gardens, a drive and an attached garage. Viewing comes highly recommended by appointment only. extremely spacious individually built 4 double bedroomed detached property which has flexible accommodation across 2 levels and would be an ideal family home. In need of some modernisation but having the benefit of an integral double garage, large utility room, en-suite shower room to the master bedroom and a spacious conservatory extension to the rear. The property, accessed via electric gates, has ample off road parking and gardens to 3 sides, uPVC double glazing and a gas fired central heating system. Internal viewing is highly recommended. 3/4 bedroom link detached property which enjoys a rural open aspect to the rear, in this sought after residential area. 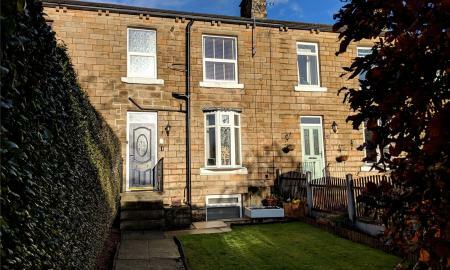 Only a few hundred yards from the well regarded local school and approximately quarter of a mile from the local railway station, with Mirfield town centre and all the amenities afforded there within half a mile. Access to the M62 motorway network is approximately 1 mile away. The property has uPVC double glazing, gas fired central heating, with accommodation briefly comprising - entrance hallway, lounge, dining room, garden room/4th bedroom, fitted kitchen, utility room, ground floor cloaks/WC, to the first floor there are three good sized bedrooms, en suite to master and family bathroom. Externally there are gardens to the front and rear, driveway and attached single garage. The property enjoys a pleasant aspect with rural views. Detached modern property with impressive modern dining kitchen and conservatory leading out to the garden, spacious lounge, utility, downstairs wc, 4 good size bedrooms and house bathroom, outside there is a driveway for three cars, a single garage with power door and enclosed rear garden with decking and artificial grass lawn. Ideal for families, with transport links and schools close by. Viewing advised. Whitegates are pleased to offer this detached four bedroom house within this popular location close to schools and transport links. Situated on a quiet cul-de-sac with full double glazing and central heating with; entrance Hall, cloaks/wc, breakfast kitchen, dining room, lounge, 4 bedrooms and house bathroom, gardens front and rear, ample off street parking and a single garage. A charming property in a great location, viewing is advised, by appointment only. 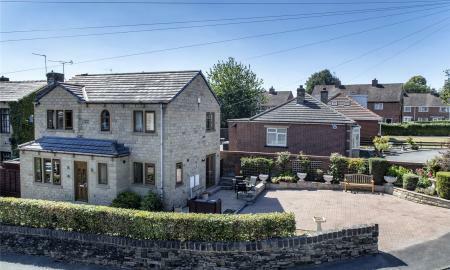 Modern stone built 4 bedroom family home situated in an ideal location only approx. 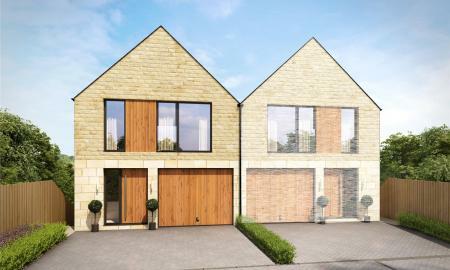 2 miles from the centre of Mirfield with shops, schools and transport services. The property is enhanced by spotlights throughout the downstairs accommodation, gas central heating, double glazing and security system with accommodation comprising: Entrance hallway, downstairs w.c, kitchen with dining area, lounge, 4 bedrooms, house bathroom/w.c, gardens & parking for 3/4 cars. 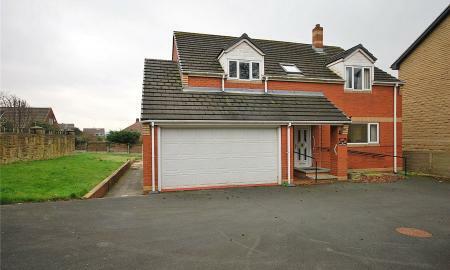 Whitegates are pleased to offer this 3 bedroom detached property. Located close to the heart of this popular town on St Pauls Road, with countryside and transport links equally accessible. the home occupies a prominent position and includes gas fired central heating, briefly comprising: Entrance hall, shower room/wc, spacious lounge, breakfast kitchen, first floor - three bedrooms and bathroom. Externally a good size drive provides ample off street parking and leads to the detached garage. To the rear a large, flat and enclosed garden. 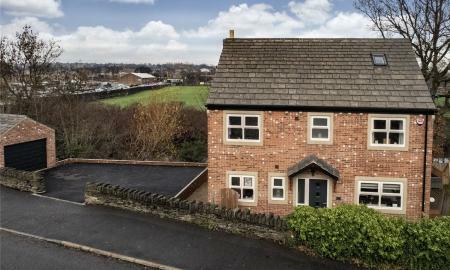 This is a very popular location in the heart of Mirfield, therefore early viewing is advised. 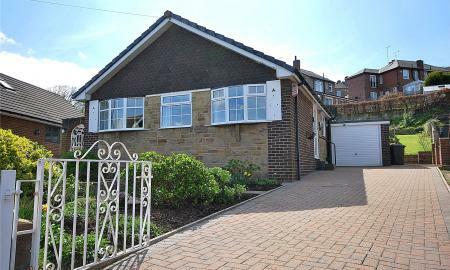 No Chain A well-proportioned detached bungalow in a great location close to the centre of Mirfield and required amenities. 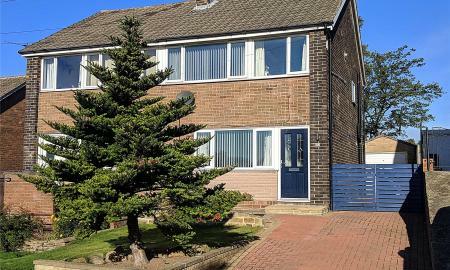 Featuring gas central heating and upvc double glazing the property has; entrance hall, kitchen, lounge, dining area, two double bedrooms and a shower room. Outside a block paved drive and single garage, with gardens to the front and rear. 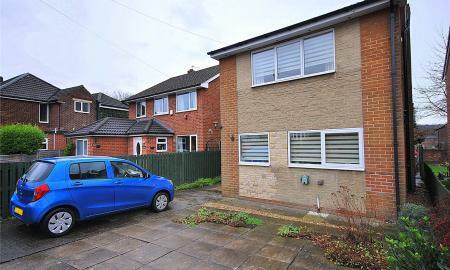 Offered with no onward chain and ready to move into we expect interest to be high. Viewing advised. Three bedroom detached property in this sought after location. Having a good size ground floor extension providing a large dining kitchen, utility and shower room. The rest of the property is well proportioned throughout and situated in a lovely position with ample off street parking. Viewing recommended, by appointment only. Substantial detached family property with large garden good size rooms. Situated close to schools and transport links yet still private with gardens, ample off street parking and double garage. Traditional in layout with wide entrance hall and high ceilings, having 2 large reception rooms, breakfast kitchen, 3 double bedrooms, box room and house bathroom. The property may benefit from some modernisation but still has double glazing throughout and a modern gas fired central heating system. Viewing advised, by appointment only. **NO CHAIN** Brick built extended FOUR bedroom semi-detached situated in a quiet backwater position, ideal for business commuters and families, with accommodation comprising briefly: Entrance vestibule, cloakroom, dining kitchen, spacious dining room/additional sitting room, lounge with patio doors overlooking rear garden, master bedroom with en-suite, three further bedrooms, bathroom/w.c., gardens to three sides, long drive and additional parking for two cars at the top of the drive. Viewing Advised. 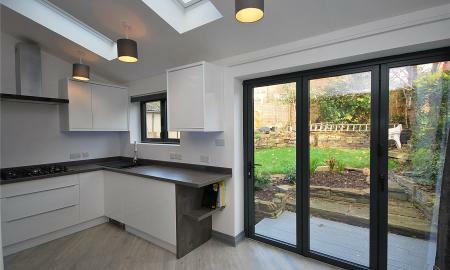 Stunning, modern, fully renovated property. Having undergone a programme of work finished to a good standard including; rewire (2016), central heating system (2015), solid wood internal doors, reconfiguration of downstairs space creating a lounge, impressive dining/living/kitchen (with bifold doors and integrated appliances), utility room and cloaks/wc. Upstairs; 3 bedrooms and a modern bathroom. Feature lighting and a speaker system is integrated into the ceiling with concealed wiring. Outside there is ample off street parking and a pleasant rear garden. 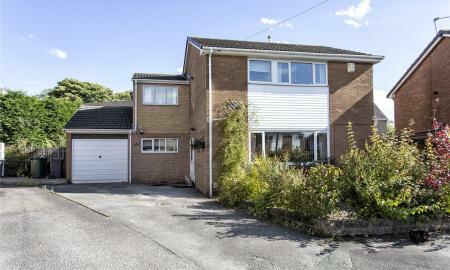 Conveniently located on a bus route, close to Mirfield centre and outward transport links, Viewing is advised for this unique property. For sale by Modern Method of Auction: Starting Bid Price £200,000 plus Reservation Fee. 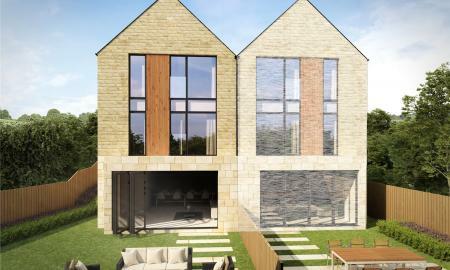 Whitegates bring to the market this fantastic building plot located in the much sought after location of Edge Road. The south facing building plot offers delightful views over the valley and includes an adjacent area of greenbelt land (as seen on the plan in Blue). 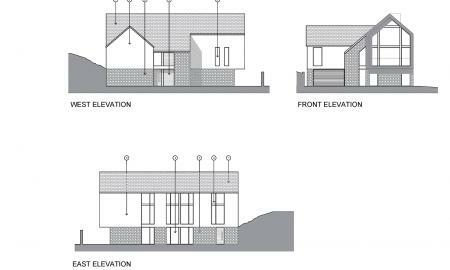 There is existing planning permission for a large detached dwelling. Detailed planning has been approved. 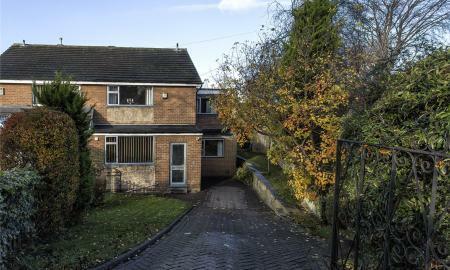 For further details please search Kirklees Council website for the following application; 2016/62/93208/E The property will undoubtedly be a fantastic home for a discerning buyer and estimates of final value in excess of £500,000. To register your interest or to obtain further information please contact our Mirfield Branch. 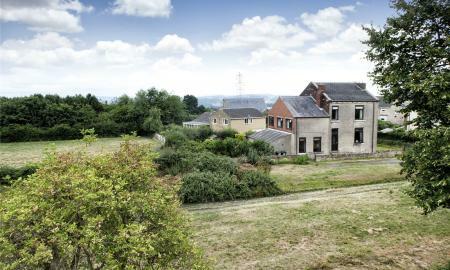 This property is for sale by The West Yorkshire Property Auction powered by iam-sold. Charming and characterful both inside and out. with off street parking and a large piece of land adjacent. 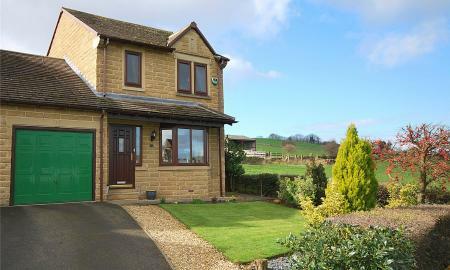 Situated in a prime position close to Mirfield town centre and transport links. The property, originally two back to backs, has been knocked through to create a spacious 3 bedroom house; over 1000 square metres inside. Having gas central heating and double glazing, with large dining kitchen, cloaks/wc, lounge, three bedrooms and house bathroom. Immaculately presented throughout with quality fixtures and fittings. Outside pretty gardens front and rear and a long block paved drive. Additional to all of this a large triangular flat section of land can be put to a number of uses. This Immaculate 3 bedroom semi-detached property has undergone a programme of recent modernisation, creating a stylish home in a ready to move into condition, ideal for a young family or professional couple. With gas central heating and double glazing with accommodation comprising; entrance vestibule, lounge, new dining kitchen with fitted appliances and French doors to the garden, landing with loft hatch, three bedrooms (fitted furniture to the master), house bathroom with white suite. 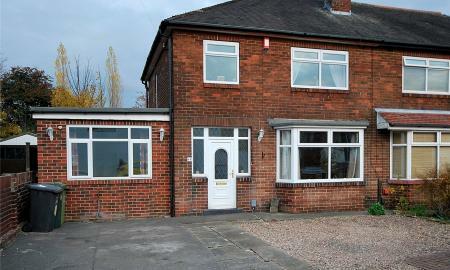 Situated in this sought after location handily placed for schools and motorway access, internal viewing is recommended. 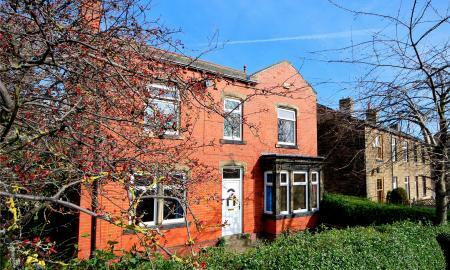 Charming and characterful home situated in a convenient location walking distance to Mirfield town centre and transport links. This deceptively spacious property, originally two back to backs, has been knocked through to create a large 3 bedroom house. Having gas central heating and double glazing; with Entrance hall, lounge, dining room, conservatory, kitchen, 3 bedrooms, bathroom, two large cellar rooms (One with a shower room) and gardens front and rear. well-presented throughout with some quality additions and recent improvements, including solid wood internal doors, multi jet shower, composite front door and a new roof (2015) Viewing Advised. Extended 4 bedroom family property situated in a popular and convenient area. Having full central heating and double glazing featuring; large entrance hall, lounge, dining room, downstairs shower room, conservatory, kitchen, ground floor bedroom/extra reception room, landing, 3 first floor bedrooms and the house bathroom. Outside there is ample off street parking to the front with a large enclosed garden to the rear. Viewing advised. 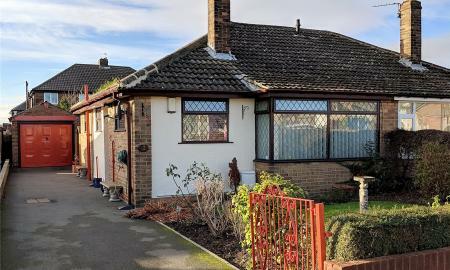 Brick built, part rendered 2 bed semi-detached true bungalow, situated on a pleasant cul-de-sac location handily placed for required amenities, shops, schools & transport services. 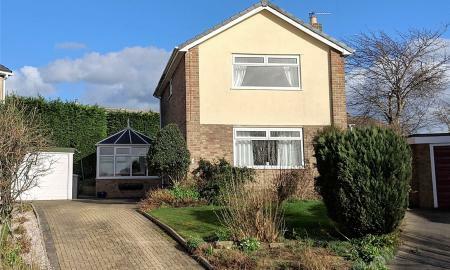 Ideal for the mature house buyer, enhanced by double glazing and gas central heating with accommodation comprising briefly: Ent reception, lounge, kitchen, 2 bedrooms, bathroom/wc. Gardens to front & rear & single garage. Offered with no onward chain, viewing advised.